Give your home a unique look with the 72" Madeline Double Vanity. 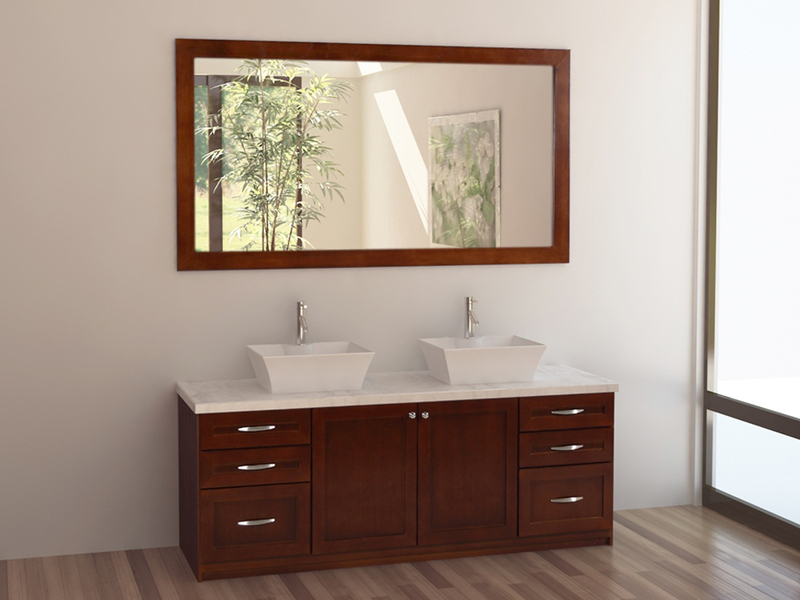 Featuring a solid hardwood cabinet finished in a warm Cherry finish, this vanity boasts stability and incomparable durability. Its marble countertop is matched with two rectangular vessel sinks and offers six pull-out drawers and a large double-door cabinet. It also comes with a large matching mirror to complete the look!